LOS ANGELES (AP) — A married couple from Los Angeles have been jailed in the Middle East on a charge of murder with intent and are being accused of starving their 8-year-old daughter to death, according to a coalition of groups that are working on the case from the U.S. and trying to draw publicity to what they say are unjust arrests. Matthew and Grace Huang were arrested in Doha, Qatar, shortly after their daughter, Gloria, died Jan. 15, Alex Simpson, associate director of the nonprofit California Innocence Project said Monday. 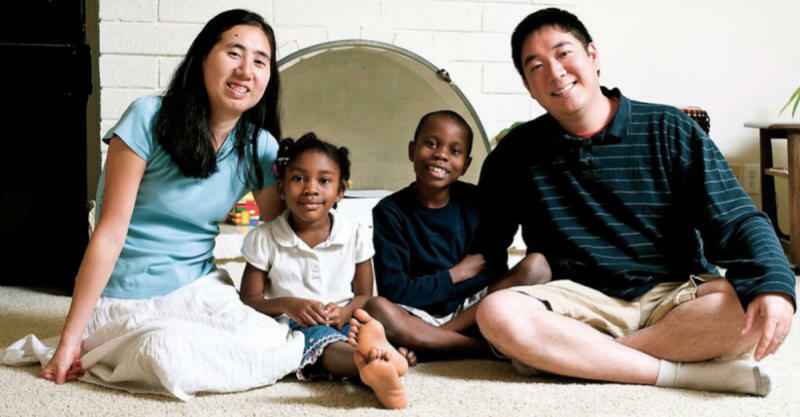 The Huangs adopted the child from Ghana at age 4. The couple's two other children, also adopted from Africa, have been banned from leaving the country and are being cared for by their grandmother, who is living with them there. The Qatar Embassy did not return a call or email seeking comment. No one from the Qatar courts, police or prosecutor's office could be reached for comment Tuesday. Nathaniel Tek, a U.S. Embassy spokesman in Qatar, declined to comment. The Huangs moved to Qatar in 2012 so Matthew Huang could work as an engineer on two major infrastructure projects associated with improvements for the 2022 World Cup, according to a narrative of the case posted on the family's website, http://www.freemattandgrace.com . Their daughter, who was severely malnourished in early childhood, would periodically refuse food for several days and then binge eat or get food from bizarre sources, such as garbage cans or from strangers — a behavior her parents traced to her impoverished upbringing and were trying to address. She would also try to leave the house at night in search of food and pick through the medicine cabinet on late-night binges, according to a report prepared in the U.S. by Janice Ophoven, a pediatric forensic pathologist who reviewed the case for the family. The behavior is not uncommon in adopted children who have suffered from severe malnutrition in their past, the report says. Gloria, who was slight for her age, also had been treated for an intestinal parasite, and recent blood tests had showed severely low levels of a certain type of white blood cell that could have been a sign of an underlying bone marrow condition, as well as a vitamin D deficiency. When Gloria died, she was in an anorexic episode and had not eaten in as many as four days, Ophoven wrote in her report. A Qatari doctor who conducted Gloria's autopsy found that the child's hips, ribs and spine protruded and concluded the cause of death was dehydration and wasting disease. Supporters in the U.S. say those diagnoses aren't possible and don't take into account the child's long history of eating disorders and malnourishment that caused lifelong health concerns, as well as the recent blood work. In addition, the unconventional family — an American couple of Asian descent with three black children — may have also complicated the situation because Qatar officials were unfamiliar with U.S. international adoptions, said Simpson, whose organization is one of several assisting the family. An investigative report by Qatari police raised questions about why the Huangs would adopt children who did not share their "hereditary traits" and raised concerns that the children were part of a human trafficking operation or were "bought" for organ harvesting, according to the family's website. "That's a fairly uncommon thing in any culture and that may have contributed to it and to the concern that something untoward and nefarious was going on," Simpson said. The Huangs are being kept on separate floors of a jail and see each other only in court proceedings, which have been intermittent, the family's website says. The California Innocence Project is housed at the San Diego-based California Western School of Law and works to free wrongfully convicted inmates. The group, founded in 1999, is one of 48 loosely affiliated Innocence Projects nationwide in the Innocence Network. Eric Volz, managing director for the David House Agency, which is coordinating legal and publicity efforts for the family, declined to comment because of the sensitive nature of the case.